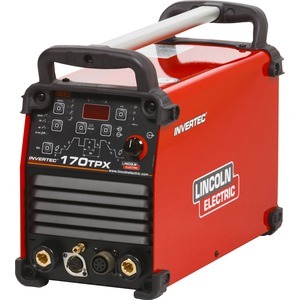 Patented Micro-Start™ II Technology – Delivers extremely stable low amperage starting, welding and cratering for both AC and DC welding. AC Auto Balance® – Automatically sets the optimal cleaning vs. penetration levels for great looking aluminium welds. 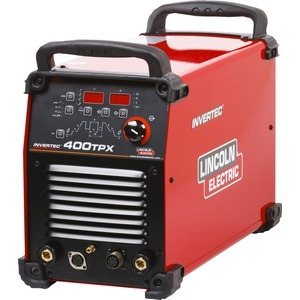 Widest output range in its class – 2-340 amps for both AC and DC. With Micro-Start™ II Technology and our new and improved AC Auto Balance® on board, the Precision TIG® 275 delivers unrivaled starting and welding at low amperages and improved AC aluminum welding performance. AC Auto Balance® – Automatically sets the optimal cleaning vs. penetration levels for great looking aluminum welds. High duty cycles – 275 amps at 40% duty cycle. Add an optional Under-Cooler Cart – For extra storage and water-cooled applications. Built-in storage compartment – With removeable tray for torch consumables. 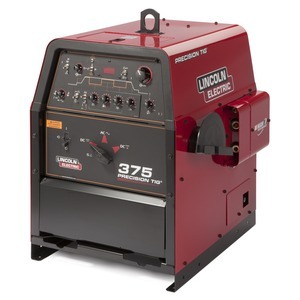 Excellent stick welder – Even with Fleetweld® 5P (E6010) with new Automatic Hot Start™ and Auto Adaptive Arc Force™ controls. 115 volt auxiliary power receptacles – Great for powering an optional water cooler or power tools. Water-cooled torch connections with no adapters required – Side mounted, out of the way, and well protected.